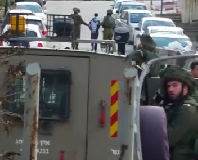 Zionist troops have invaded Bil’in village in the central West Bank and kidnapped two teenagers and two adults. Palestinian locals said the kidnappings took place at two different times. 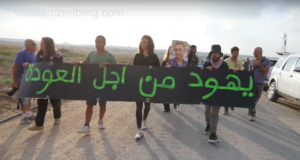 The first incident took place late Monday night when two men – Hissen Mansour and Kifah Mansour – who were returning from their farmlands to the village located behind the apartheid wall, were detained. Although an Israeli court has given the farmers the right to reach their lands behind the wall and ordered the Israeli military to demolish the wall, the Zionist army still arrests farmers and refuses to dismantle the wall, local sources said Tuesday. 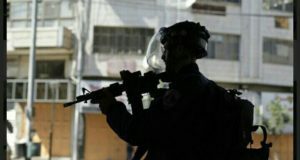 In the second incident, Zionists troops stormed Bil’in village Tuesday morning, searched a number of homes, and then kidnapped two boys – Khalil Yassen and Kamel al-Kahteeb – both aged 15. Family members of the four kidnapped civilians say the whereabouts of their detained relatives are still unknown. Bil’in has been the scene of weekly non-violent protests against the Zionist regime’s apartheid wall for over four years.